Regardless of which side of the political chasm that currently divides the American people you stand on, you’ll recognize that more needs to be done to protect human lives and now is the time to do it. The Boston Celtics, along with an opposing Sacramento Kings team addressed that before last night’s game, in a unified statement that was clear and concise. 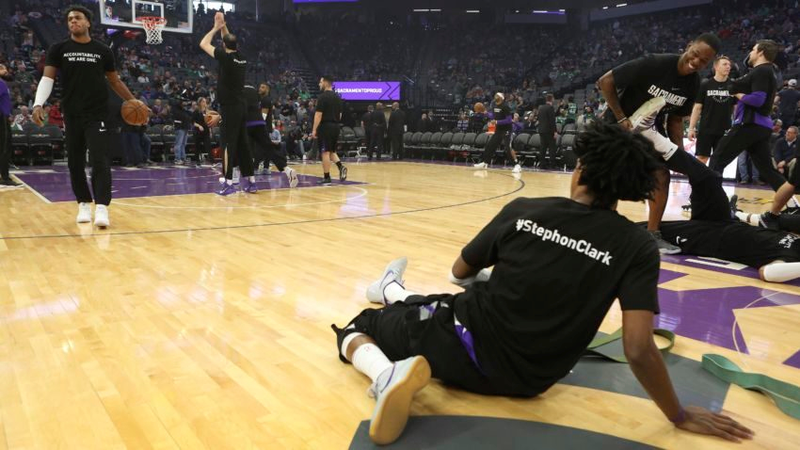 In the wake of the shooting of 22-year-old Stephon Clark in Sacramento, the teams wore black warm-up T-shirts that read ‘accountability we are one’ on the front and then simply ‘#StephonClark’ on the reverse side. A video was then shared that featured players from both teams stress the need for accountability and togetherness.